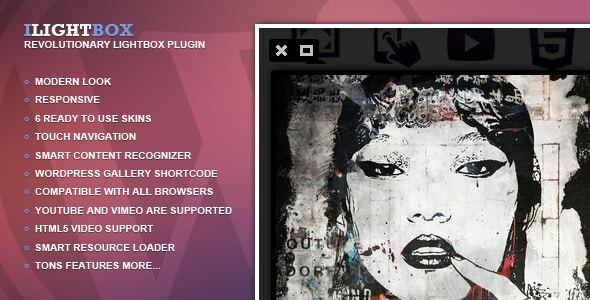 jQuery lightbox plugins are very popular for showcasing your photos in an elegant and appealing way. This technique is also used for pop-up email signup forms or login forms. There are many advantages of using jQuery lightboxes, the most important is that users are not required to leave the page to view the content presented by the lightbox and also the image is emphasized by the fade out effect in the back. Some image lightbox plugins even include gallery displaying capabilities and allow visitors to browse through sets of images. One of the biggest benefits of creating websites with WordPress is the abundance of themes and plugins that make WordPress sites not only functional but also gorgeous with unique and exceptional visual design elements. The abundance of WordPress plugins is what makes a site go from a basic template to an original, customized design. Of course, there are those that are considered to be the essential WordPress plugins, and then there are those that are industry or craft-specific. For anyone requiring a way to display photographs and images on their site, WordPress image gallery plugins and lightbox plugin are what you should be looking into. WordPress lightbox plugins are a great way to show your images, videos and HTML content. They’re perfect for portfolios but they can be used for any type of websites. Lightboxes are found on lots of websites these days as they’re elegant and represent a good way of emphasizing photos on your website. Here are 10 WordPress Lightbox plugins that we like. Do you have any other suggestions? 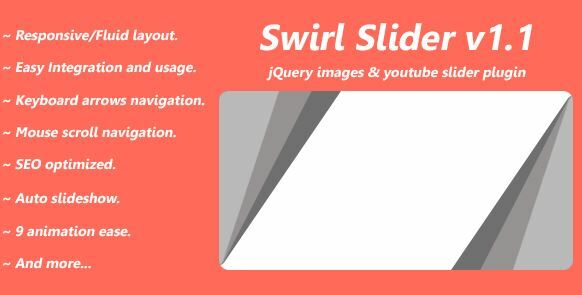 Swirl Slider is a jQuery slider plugin that can be used for both images and video with animated captions, responsive layout for desktop and also mobile devices. It has a responsive and fluid layout and you can choose between 9 types of animation and over 20 customizable properties. You can easily customize almost anything you can think about with FancyBox: the border, margin width and color, zoom speed, animation type, close button position, overlay color and opacity and more like several options to group images into galleries, etc. By default, the plugin will use jQuery to apply FancyBox to any thumbnails that link directly to an image. You just need to install it and that’s it, it will apply automatically. So simple and clean! 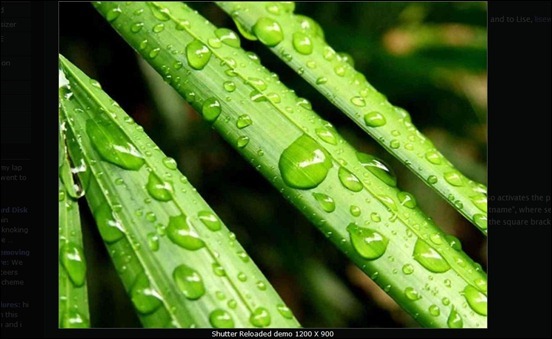 Shutter Reloaded is an image viewer for your website that works similarly to Lightbox, Thickbox, etc. but is under 10KB in size and does not require any external libraries. It has many features such as resizing large images, combining images in sets, redrawing the window after resizing, pre-loading of neighbor images for faster display and very good browser compatibility. You can easily customize the color and opacity of the background and for the caption text. You can also activate it for the entire website or on specific pages only. This plugin will help you to easily add a thumbnail gallery to your WordPress website or blog. The gallery is completely customizable, resizable and is compatible with all browsers and devices. You will be able to insert it in any page or post you want with the shortcode generator. The layout is fully responsive and you can add HTML and Flash. Other than this, you can also embed Youtube and Vimeo videos and even display images at random! 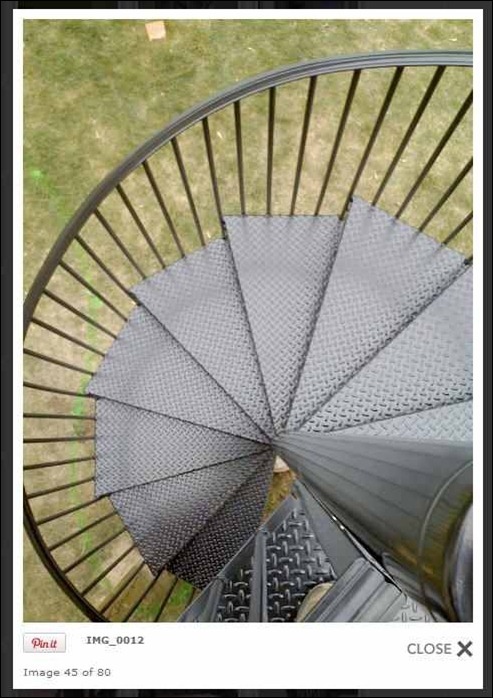 PhotoMosaic creates a shortcode that transforms a WordPress photo gallery into a great design piece by giving it a fresh masonry layout worthy of your favorite design blog. This plugin simply gives your website the option to pick Photomosaic as your gallery’s theme. The layout is fully responsive with customizable columns, width, padding, and more! 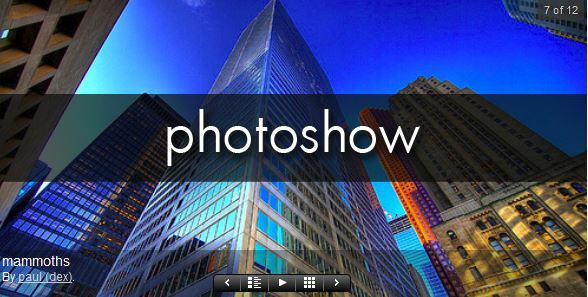 PhotoShow is a plugin for WordPress and jQuery that makes it easy to add elegant style to a WordPress photo gallery with a simple shortcode. It also gives you the option to convert all your websites’ galleries into PhotoShow galleries. It also offers widget support and autoplay with an optional timer. 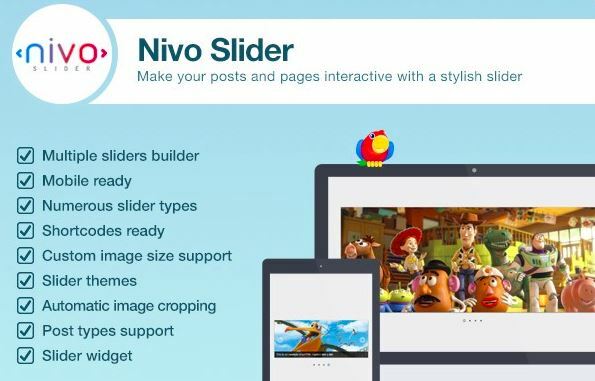 Nivo Slider is a great tool that can help you make your website interactive by adding a stylish slider to it. It offers beautiful transition effects, automatic image cropping, and many slider types. Best of all, it doesn’t require any coding knowledge! Test it today and see how it is! With over 5 million downloads the NextGEN Gallery plugin is obviously widely used. 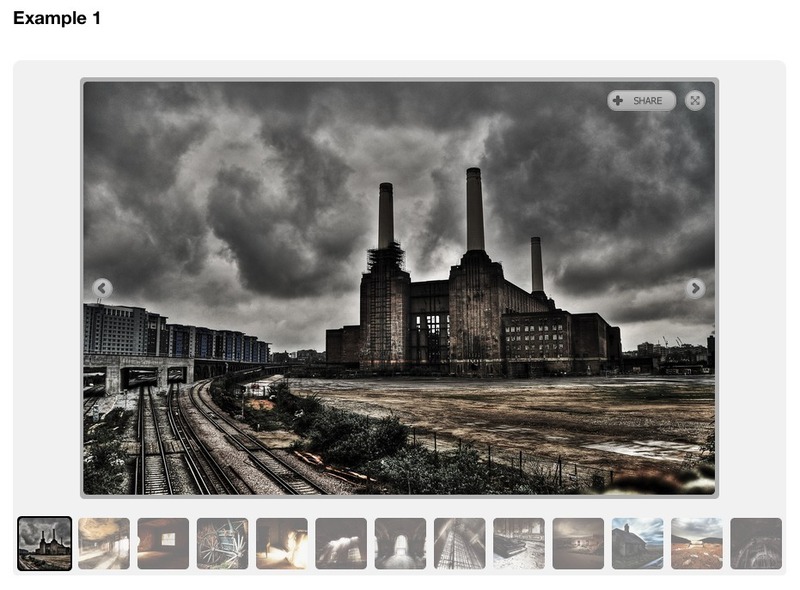 The Pinterest Lightbox plugin enables a ‘PinIt’ Button on each image automatically through your NextGEN Gallery. It automatically uses the caption, image URL, and page URL from NextGEN to sync with the Pinterest API. You just need to download and activate it. After this, your website visitors will be able to re-pin the images from your website to their Pinterest page, including the credits. Lightbox Gallery Manager is a WordPress plugin that offers an easy way to embed unlimited lightbox galleries on your WordPress site. You can organize your images by category and add single sets or whole categories with a simple shortcode. 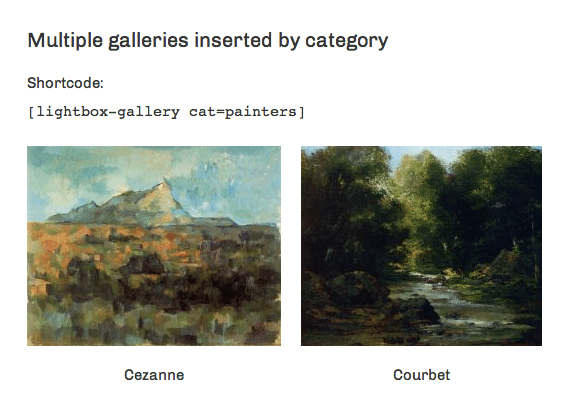 This plugin gives you the possibility to create unlimited galleries with unlimited items. 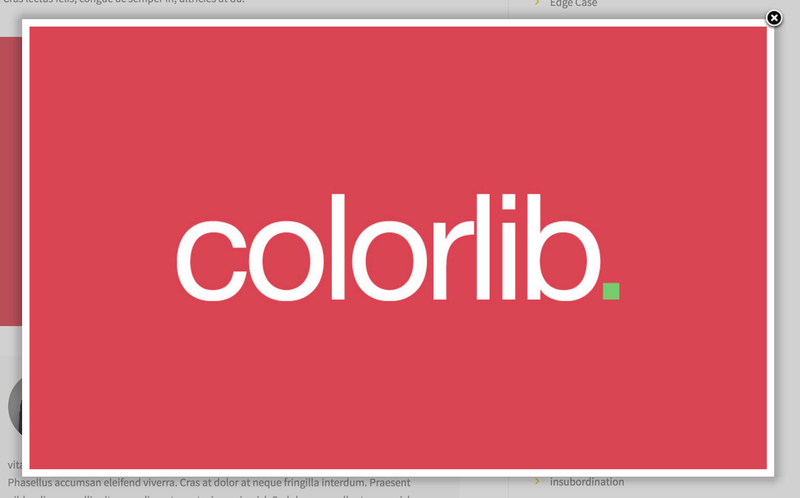 Insert as many Lightbox slideshows as you want, anywhere on your website. Keep in mind that, when dealing with images, this needs to be done very precisely and correctly. The trick is to include the necessary images in a way that lends to the visual dynamic, without compromising website performance. Having the right hosting size for your project is one way you can avoid a poor webpage loading speed, and it’s also best not to have a lot of large image files that take a long time to load. You should optimize your images for the web – which includes but is not limited to compressing them and adjusting their dimensions – and you should avoid including too many images or videos on your site. An alternative lightbox plugin is “ARI Fancy Lightbox” wp-quiz.ari-soft.com/plugins/wordpress-fancy-lightbox.html Can show any content, mobile read and contains social and viral features.